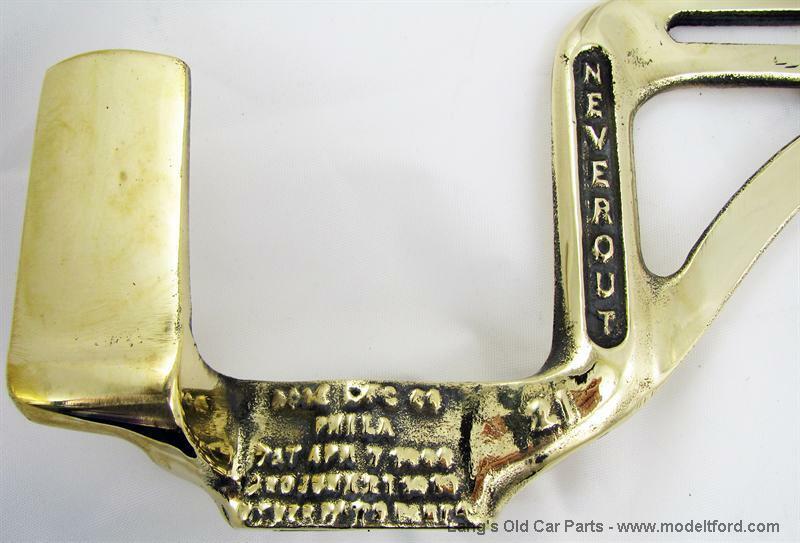 Oil tail lamp and license bracket, brass, "Neverout" accessory. Has flat spade style mounting pin for oil lamp. This mounts onto any flat spade or pin style tail lamp bracket.